Tuesday, May 12, may be a doubleheader victory for San Franciscans who believe in economic and social justice. When the Board of Supervisors meets that afternoon they will be poised to overwhelmingly reject Muni's grotesque fare increases and service cuts. Then, in the evening, a closely-divided school board will vote on whether or not to restore JROTC, one of the Pentagon's favorite military recruitment programs. Both of these impending victories are the result of progressive victories at the polls last November. New supervisors David Chiu, Eric Mar, John Avalos and David Campos are at the heart of the opposition to Muni's "pay more for less" budget. All were fervently opposed by the downtown corporate elite -- and all were victorious despite being targeted by a campaign of slander and lies for their opposition to JROTC. Sandra Fewer's election to the school board, also part of the wave of progressive victories last fall, may have sealed JROTC's fate. 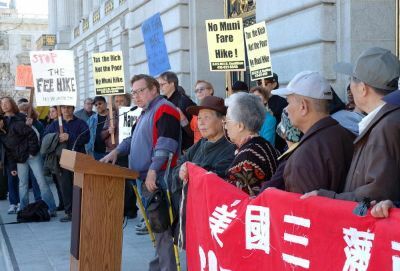 Muni's proposed fare increases are nothing less than a regressive tax on poor and working people who have no choice but to use public transportation. Two bucks for an habitually late, crowded and often unsafe bus ride? Sixty bucks for a monthly Fast Pass? A 100% increase to twenty bucks for the youth/senior/disabled pass? All this combined with drastic service cuts that will affect everybody, but fall most heavily on lower-income neighborhoods. Everybody gets slammed, except Muni chief Nathaniel Ford, who will continue to get his more-than-generous $315,000 salary. Kudos to Board of Supervisors President David Chiu for leading the charge to reject Muni's fare hike and service cut scheme. And more kudos for pointing out that Muni is spending $8 million per year on fare inspectors, even though these millions produce only $350,000 in fines. The big push for all these fare cops came in the wake of the fare strike in 2005, and seems to this observer to be largely about avoiding any future threats of similar direct action against Muni madness. No Board of Supervisors has rejected a Muni fare increase since the implementation of the ill-considered Proposition E "reform" of 1999. Before then, the supervisors had much greater leverage over Muni finances. Prop E moved this authority from our elected representatives to the appointed apparatchiks on the Muni board. It's about time that the supervisors stood up to the Muni bureaucracy for us common folk. The Tuesday vote by the San Francisco school board on JROTC will be the culmination of years of agitation and struggle around this Pentagon beachhead in our schools. 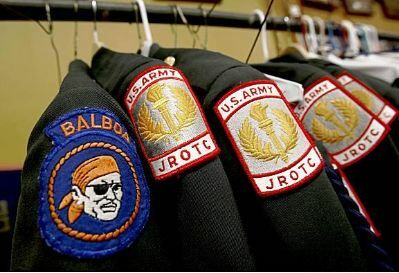 When the school board votes down the Jill Wynns/Rachel Norton resolution to restore JROTC, it will mean the end of a 90-year run of militarism, discrimination and racism in our schools -- the end to a program that preys on poor and working class youth of color as young as 14 and 15 years old. The meeting begins at 6:00 PM, at the school district's headquarters at 555 Franklin Street at McAllister. It is vital that JROTC opponents turn out to support the school board members who are standing up against the Pentagon. Former Mayor Willie Brown has used his column in the San Francisco Chronicle to circulate rumors about compromise deals. It ain't a happening thing, Willie. Any maneuvering is likely to take place at the school board meeting itself, in full public view, in real time. Come be a part of history. Nor, despite the hopes of the JROTC crowd, has the state legislature come to the military's rescue. Fiona Ma's bill to mandate JROTC here in San Francisco is dead in the water, despite Ma's spin that she has "suspended AB 223 pending action by the SF School Board to reinstate JROTC." The bill that would allow PE credit for JROTC, AB 351, is languishing on the floor of the Assembly, while the authors make futile noises about upcoming amendments. JROTC has been with us ever since its creation in 1916 to raise recruits for World War I, the war to end all wars and make the world safe for democracy. It got renewed life during the Vietnam War, and then again during the Bush years. It is long past time for it to go. NOBODY IN CHARGE... A revealing moment in this long battle took place at the school board's Curriculum Committee last Monday, May 4. The resolution to restore JROTC was on the agenda. However, no one from the district staff had prepared the expected report on the program's curriculum. When committee chair Sandra Lee Fewer asked who among the district staff was in charge of overseeing JROTC, there was an embarrassing silence, followed by Francisa Sanchez, Associate Superintendent of Academics and Professional Development, answering that no one on district staff supervises the program. Margaret Chiu, the Assistant Superintendent in charge of high schools, and a known JROTC supporter, was also at the meeting, but had no answer to Fewer's question either. Seems like the Pentagon has run this program lock, stock and barrel without much oversight for the last 90 years. Don't Tell" (DADT) policy squares with the school district's non-discrimination policy, the answers from the pro-JROTC crowd have always been evasive at best. can't be openly gay and enlist. 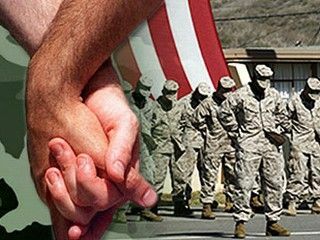 These days, the pro-JROTC crowd usually wants to talk about President Obama's campaign promise to get rid of DADT. But these hopes are looking increasingly dim, as Obama seems to be slowly backing away from taking action on this issue. See, for example, "Obama's equality problem" and "White House Web site edits raise red flags," both in last week's May 7 Bay Area Reporter. Meanwhile, sparks are flying over the very recent DADT order against Dan Choi, a gay National Guard platoon leader and fluent Arabic speaker, as reported in a May 8 Chronicle article, "Obama, activists lose momentum over 'don't ask'." RULES COMMITTEE, WHO NEEDS RULES? Rachel Norton and Jill Wynns, the authors of the pro-JROTC resolution, are still maintaining that the two of them have the right to determine the whole school board's position on any and all state legislation, by virtue of their two seats on the Rules Committee. Norton's May 7 post to her blog confirms this inherently anti-democratic abuse of process. One knowledgeable observer suggests that her claims about the "long-standing practice of this committee" are based on "recovered memory." At the most recent Rules Committee meeting on May 5, committee chair Norton had the audacity to insist on voting on pending legislation, while refusing to let the public even know what bills they were voting on until after the vote. NIGHT ON THE TOWN... Those who want to make a full evening of it have more than one event they can take in Tuesday evening. At 5:00 PM, the ANSWER Coalition and Justice First are rallying to Protest Bank Robbery! at the Bank of America at Market and Montgomery. Then, at 5:30 PM, just down the street at City Hall, Supervisor John Avalos and Diamond Dave Whitaker are honoring the incomparable author and activist John Ross at "Poets Under the Dome" in the North Light Court. The school board headquarters is just one block from City Hall, so you don't have any excuse for not getting there in time to show your support for ending JROTC. Not to be too cynical, I'm all for symbolic protest rallies and political poetry, but I'm partial towards making sure that we deliver a very concrete and material blow against the Pentagon warmongers and profiteers -- getting JROTC out of our schools once and for all. See you all at the school board JROTC showdown. If you're taking Muni to get there, it's still only $1.50.